Alphabet themed Hero Arts wood mounted rubber stamp featuring a lowercase letter "c". Hero Arts woodblock stamps originate from sustainably managed forests. They are hand-cut and assembled by Hero Arts in the USA. Each design is an imaginative original, and a lasting keepsake. 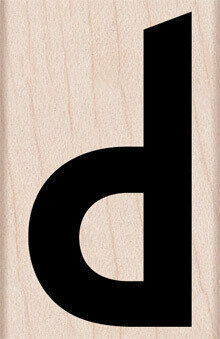 Alphabet themed Hero Arts wood mounted rubber stamp featuring a lowercase letter "d". Hero Arts woodblock stamps originate from sustainably managed forests. They are hand-cut and assembled by Hero Arts in the USA. Each design is an imaginative original, and a lasting keepsake. Alphabet themed Hero Arts wood mounted rubber stamp featuring a lowercase letter "e". Hero Arts woodblock stamps originate from sustainably managed forests. They are hand-cut and assembled by Hero Arts in the USA. Each design is an imaginative original, and a lasting keepsake. 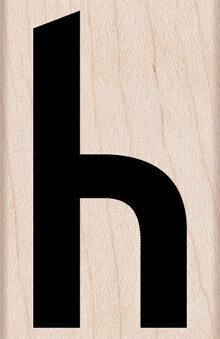 Alphabet themed Hero Arts wood mounted rubber stamp featuring a lowercase letter "h". Hero Arts woodblock stamps originate from sustainably managed forests. They are hand-cut and assembled by Hero Arts in the USA. Each design is an imaginative original, and a lasting keepsake. 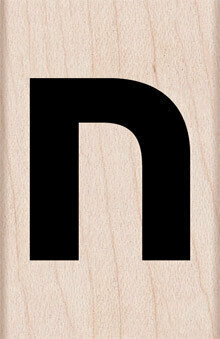 Alphabet themed Hero Arts wood mounted rubber stamp featuring a lowercase letter "n". Hero Arts woodblock stamps originate from sustainably managed forests. They are hand-cut and assembled by Hero Arts in the USA. Each design is an imaginative original, and a lasting keepsake. 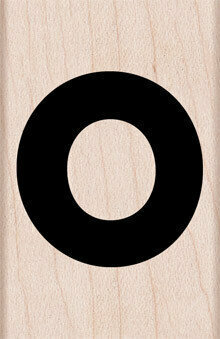 Alphabet themed Hero Arts wood mounted rubber stamp featuring a lowercase letter "o". Hero Arts woodblock stamps originate from sustainably managed forests. 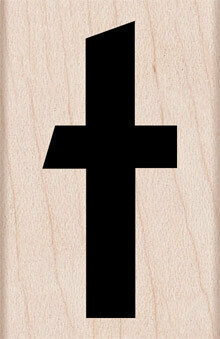 They are hand-cut and assembled by Hero Arts in the USA. Each design is an imaginative original, and a lasting keepsake. Alphabet themed Hero Arts wood mounted rubber stamp featuring a lowercase letter "r". Hero Arts woodblock stamps originate from sustainably managed forests. They are hand-cut and assembled by Hero Arts in the USA. Each design is an imaginative original, and a lasting keepsake. Alphabet themed Hero Arts wood mounted rubber stamp featuring a lowercase letter "t". Hero Arts woodblock stamps originate from sustainably managed forests. They are hand-cut and assembled by Hero Arts in the USA. Each design is an imaginative original, and a lasting keepsake. 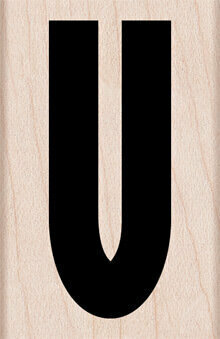 Alphabet themed Hero Arts wood mounted rubber stamp featuring a lowercase letter "u". Hero Arts woodblock stamps originate from sustainably managed forests. They are hand-cut and assembled by Hero Arts in the USA. Each design is an imaginative original, and a lasting keepsake. 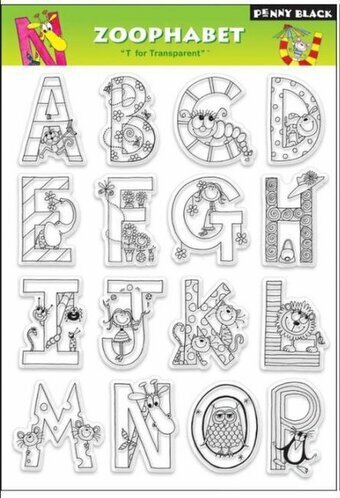 Clear stamps featuring uppercase letters of the alphabet and punctuation marks. This is a clear photopolymer stamp set measuring 4 x 6 inches. Our clear stamps are made in the USA from the highest quality photopolymer. Create unique images quickly for your paper crafts! Apply to any acrylic block and stamp. 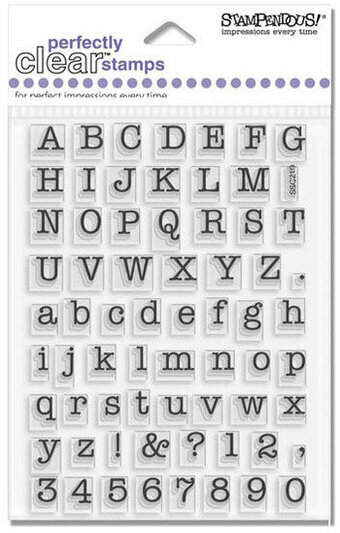 4x6 lowercase alphabet stamp set to help you create beautiful hand-scripted words. There are two of the letter "r" in the set. One is for the beginning of a word, the other (without the tail extension) is for the middle of a word. We've included two extra swashes for the beginning or ending of your words for added drama. Other extras are two leafy sprigs to create a laurel as well as & and +. 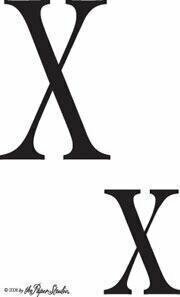 The letter "k" measures approximately 1 1/4" tall by 3/4" wide. This Whimsy Alphabet Stamp My Little Red Wagon by Debi Adams includes a fun loving cling foam (EVA) rubber stamp set of 26 sweet alpha fonts that will make your craft projects come to life. Stamp is designed to be used with an acrylic block. Approximate Size: Ranges from 0.25 x 0.68 in. to 0.77 x 0.83 in. Individual stamps are 1/8" x 1/8". 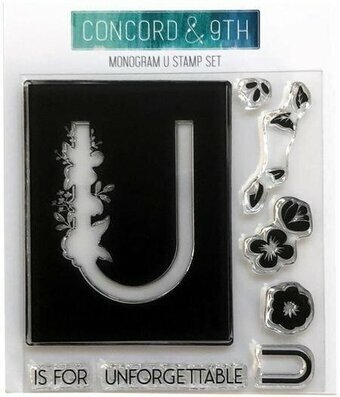 Kaisercraft Clear Stamps featuring letters of the alphabet along with punctuation marks. Uppercase measures about 3/8". Lowercase measures about 1/4".